One of the great delights of dining in Japan is the cornucopia of restaurants that specialize in one type of cuisine, as in the recent reviews of ramen at Ivan Ramen. Another unique dining experience is a meal based on pickles. Kintame, a store based in Kyoto, has two restaurants in Tokyo where diners can indulge in a colorful variety of salty, tart, piquant, and sweet pickles. 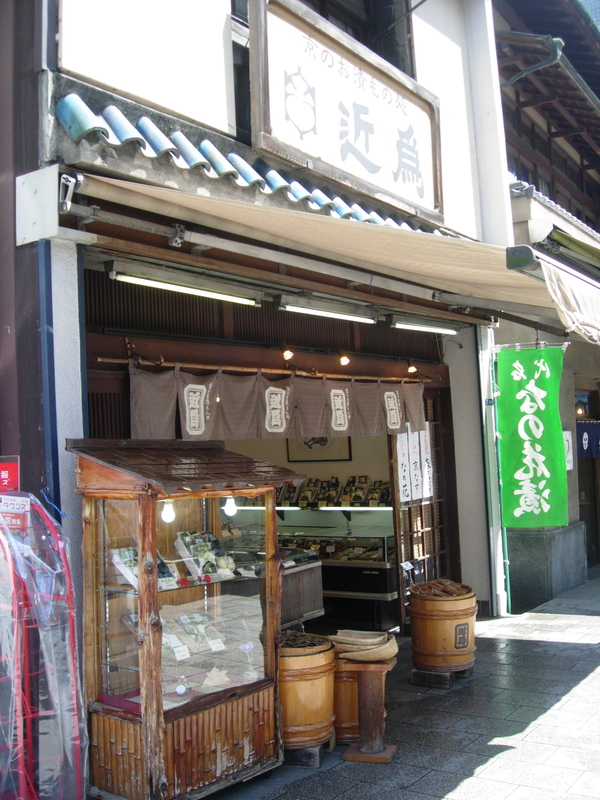 This type of restaurant is more commonly found in Kyoto, which is renowned for its pickles. So the opportunity to have this in Tokyo is a fun treat. Pickles find their way to most Japanese meals. At curry shops the fukujinzuke of seven different pickled vegetables often accompanies the dish. Yakisoba is garnished with bright red pickled ginger, benishouga. Sushi is served with thin sliced ginger, gari, as a palate cleanser between bites. What makes Kintame worth the trip? It is the opportunity to try so many different pickles at the same time. There are a variety of pickling methods that include salt (shiozuke), vinegar (suzuke), miso (misozuke), soy sauce (shouyuzuke), and nuka (nukazuke). Regionality also plays a role. Narazuke, or pickles originating from Nara, are melons and gourds that have been pickled for two to three years in sake lees (sake kasu) and are quite heady. Kyozuke, the pickles from Kyoto, are often delicate and refreshing. Kintame’s most central location is at Daimaru department store’s restaurant floor (12th floor) at Tokyo station’s Yaesu exit. The menu is limited, and the suggested dish to order is the bubuchazuke. Select a fish that is marinated in miso or sake lees; it is then grilled and will accompany an impressive variety of pickles, usually over a dozen. The meal ends with ochazuke (rice with green tea). Come on an empty stomach and delight as you nibble your way through seasonal vegetables that may include eggplant, daikon, cucumber, bamboo shoots, gourd, melon, radish, and ginger, just to name a few. If there are any in particular that you like, be sure to ask your server who will write down the name. On your way out of the restaurant prepackaged pickles are sold to take home. Kintame is good for groups but is also great for the solo diner looking to have a nourishing, contemplative meal. The Monzennakacho location is very popular on weekends and there is usually a line. Also, the schedule changes depending on if there is a holiday, so it is best to call ahead if you are making a special trip. A meal at Kintame is one that you will remember for a long time. And, if you are lucky, you may be introduced to some new pickles to incorporate into your meals at home. My personal favorite location of Kintame in Tokyo is at Monzennakacho. If you are really passionate for pickles, a meal at Kintame (from Kyoto) is not to be missed. 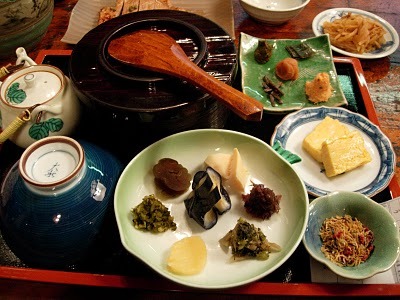 Ask for the bubuchazuke, an array of pickles along with a grilled fish that has been marinated in miso or sake kasu. 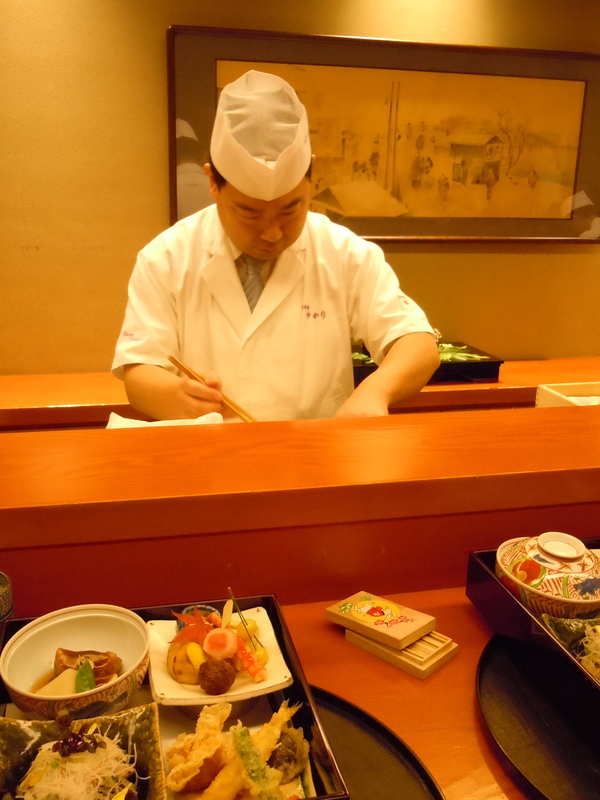 The most convenient location is at Daimaru’s Restaurant Floor at Tokyo station. The other shop, in Monzennakacho, is on a small side street that leads up to the Fukagawa Fudosan temple and has a nostalgic feel to it. This shitamachi neighborhood is a great area to walk around and is off the tourists’ beaten path. The Monzennakacho location is extremely popular on weekends and there can be a long line. There is also a retail shop a few doors down if you want to bring home any of the pickles you liked. 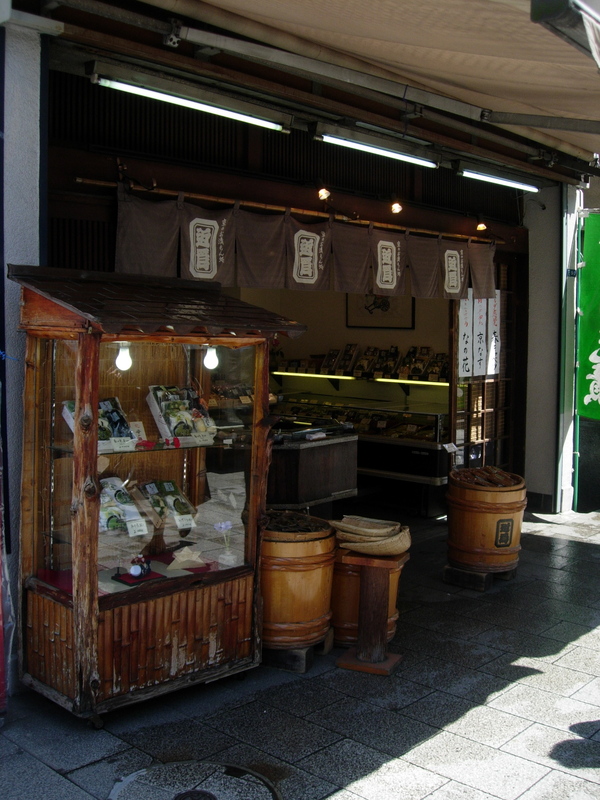 This shop in Ningyocho is a retail shop only – but well worth a visit if you are in the neighborhood. Below is the address for the quaint restaurant in Monzennakacho (Koto-ku, Tomioka 1-14-3). Take exit #1 on the Tozai line at Monzennakacho that exits onto the street leading up to the temple. Kintame is on your left just before the temple.